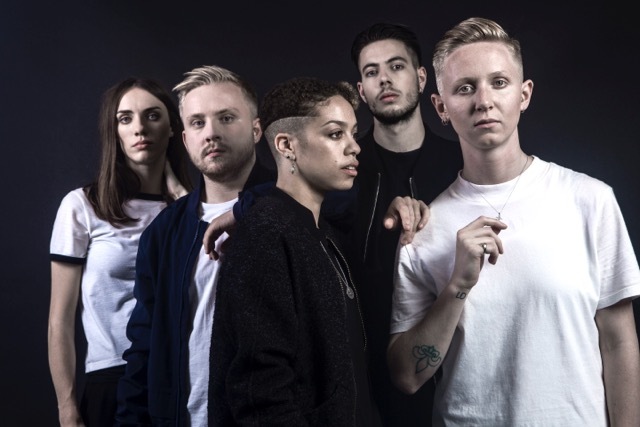 Nimmo are a unique electronic five-piece who can be traced back to the decade-long friendship of co-vocalists (and football-obsessives) Sarah Nimmo and Reva Gauntlett. Citing 80’s and 90’s pop influences from the likes of Tears for Fears, New Order, and Everything But The Girl, as well as jungle, and drum n bass, Nimmo have immersed themselves not only with the sounds of the club culture, but also located the moods of aggression, energy and heartache within that which would add depth to their songwriting. Having already collaborated with Tim Goldsworthy (DFA) and Maya Jane Coles, they have now teamed up with Boxed In (aka Oli Bayston) for more of an infectious pop track with ‘UnYoung’. Nimmo have been shortlisted for MTV Brand New 2016. The annual showcase for MTV Brand New 2016 will be at the Electric Ballroom, London on 27 January. ‘UnYoung’ is out early 2016 via Columbia Records.